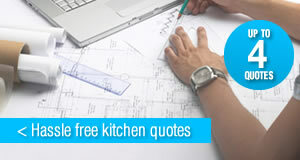 UK Kitchens Direct - Plan and design your kitchen with online 3d kitchen room planner! Plan and Design your kitchen online with the Kitchen Planner. Start designing your kitchen online with the AutoDesk Homestyler kitchen planning software then view your kitchen design in realistic 3D generated images. Watch the tutorial videos for instructions on how to use the kitchen planner. Drag and drop from the catalog to create a basic layout, add design features, other levels and landscaping. Work within the designer to modify rooms walls and other areas. Learn how to furnish your kitchen design. This video provides an overview of furnishing a design. Highlights include exploring the Homestyler branded and non-branded catalog areas, adding doors, windows, kitchen cabinetry, kitchen appliances, countertops, and other furnishings. Watch more YouTube video tutorials and learn how to create realistic kitchen designs online at the AutoDesk Youtube Channel. Once you have created a kitchen design you can view in 3D to make sure your design looks correct, once you are happy with your design you can also upload your kitchen plan to get a quote. Once you have measured your room and sketched it out on paper you are ready to start online planning, with advances in modern technology 3D kitchen planners have come a long way, they can now generate realistic looking room designs which allow you to fine tune your kitchen design before making an expensive purchase. You can experiment with door styles and colours, worktop types lighting arrangements and different layouts before a single kitchen cabinet has been put into position. Spending time to plan your kitchen before making any decisions is an important factor to reduce costly mistakes and avoid any added complications when it comes to fitting your kitchen. Take measurements for your kitchen and note them down, draw a quick sketch of your kitchen on a notepad and remember to measure the room height. Note the locations of your kitchen fixtures and fitting such as gas and electricity points, windows and doors. It may be wise to watch the instructional videos provided to get the most out of the room planner.. If you are looking to plan and design your new kitchen then here are a few online kitchen design tools that can help you.